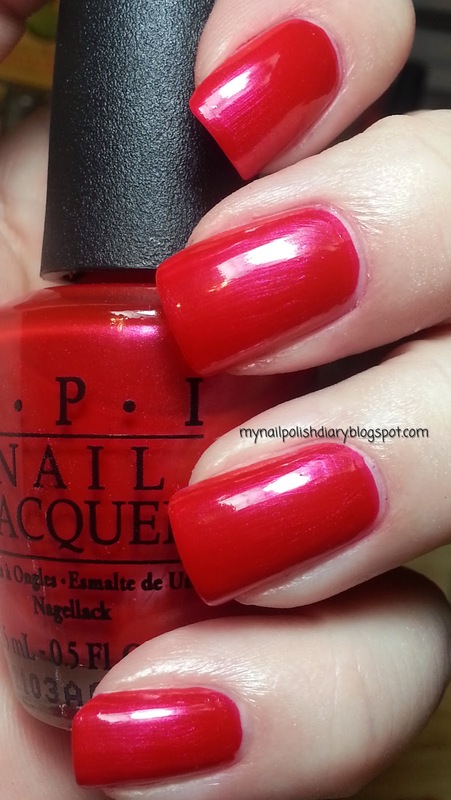 The Color Of Minne, released in the 2012 Vintage Minnie Collection, is a shimmery red with a slight pink flash. It's beautifully classic while still feeling up to date and stylish. I have worn this 4 or 5 times already. I really like it. It's on my toes right now, actually. It looks good in summer or winter and goes with any skin tone. It's a must have. The formula is perfect and the application is flawless.